I have a real sweet tooth. I could munch on candy all day long and just be in heaven! But last summer I was diagnosed with Polycystic Ovarian Syndrome which basically means my body does not process sugars and carbs like normal people. I’m more similar to a diabetic. And my body loves to take those sugars and carbs and turn them into fat! It’s a struggle. With Ice Chips Xylitol Candy I can enjoy them, satisfy my sweet tooth and be kinder to my body. Xylitol contains 40% less calories than sugar and is not utilized the same. It absorbs slower than sugar which helps your insulin levels stay consistent rather than spike and crash. Xylitol is different from other hard candies. It’s made right in her the USA with all ingredients made grown in the USA. There are also some health benefits to enjoying Xylitol after a meal or snack. It helps to reduce new tooth decay, reduces cavity causing bacteria, inhibits growth of dental plaque and stimulates saliva flow. ALl these will help keep your teeth happy and healthy and may make that next dental visit a little more pleasant. 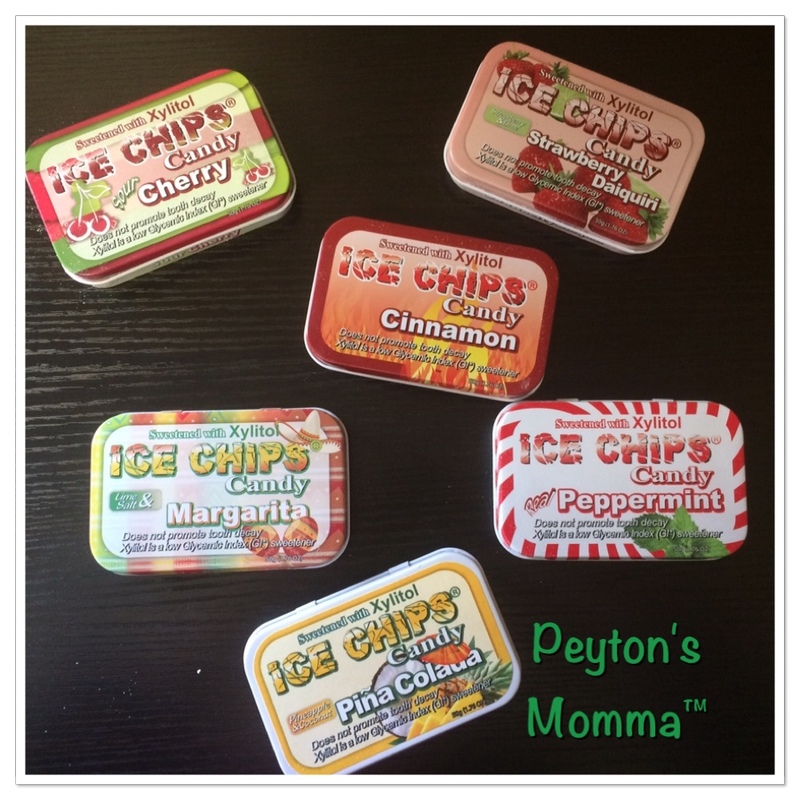 Ice Chips Xylitol Candy comes in a large variety of flavors I tried these six flavors – Pina Colada, Peppermint, Strawberry Daiquiri, Cinnamon, Margarita and Cherry. Out of those I must say my favorite is the cherry. There’s no after taste and it taste great! Strawberry Daiquiri is my next favorite. I just love the sweetness of the Cherry and Strawberry. It really stops me from going overboard on carb filled sweets in the afternoon. There is also Sour Apple, Berry Mix, Sour Cherry, Clove Plus, Coffe’n’Cream, Cranberry, Eggnog, Ginger, Lemon, Licorice, Menthol Eucalyptus, Orange Cream, Pumpkin Spice, Root Beer Float, Spearmint and Wintergreen. With all these flavors you are sure to find a few to try. 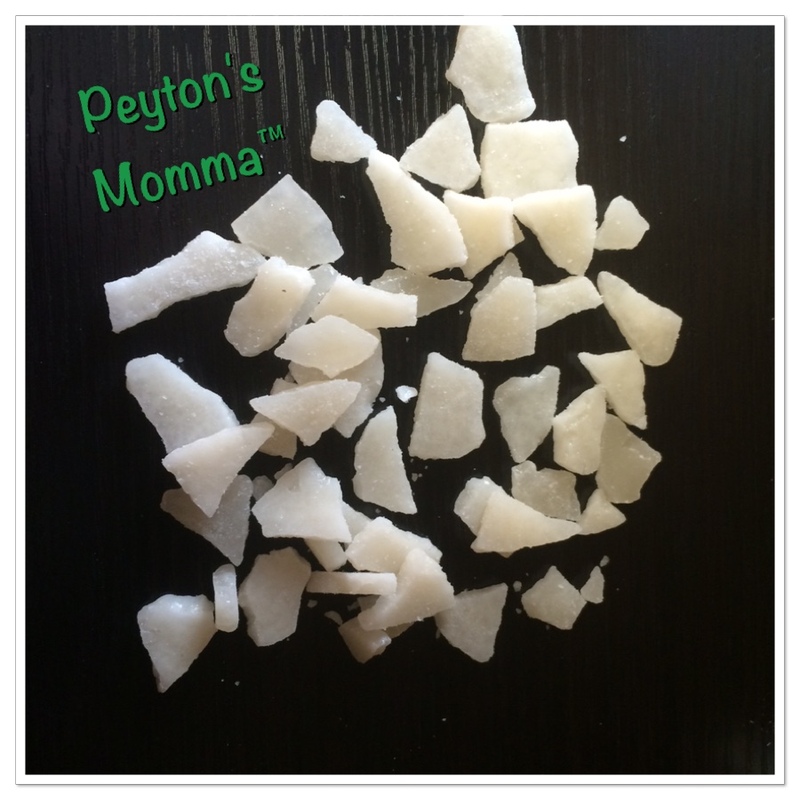 You can find Ice Chips Xylitol Candy online or find them at a store near you. Connect with Ice Chips Xylitol Candy online, Facebook or Twitter to keep up to date with latest news. the flavors sound yummy but there is one danger with xylitol.. it is poisonous to furbabies so if you have dogs then make sure they don’t get any of it. even residue on your fingers could make them a little sick if they lick your fingers after you have munched on the chips. I just wanted to share that just in case.